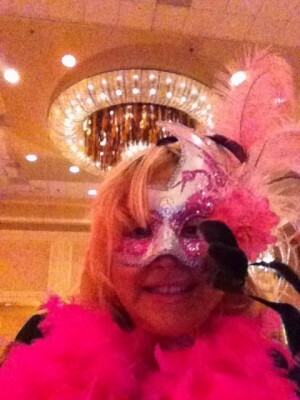 At the Romantic Times Convention in New Orleans | S.B.K. Burns' Sci-Fi Romance . . . . . . . . . Science & Spirit . . . . . . . . . . . . . . . . . . . . . Heroines with Attitude. . . . . . . . . . . . . . . . Heroes with Heart . . . . . . . . . . . . . . . . . . . So far it’s been a wild ride as promised by the Romance Reader Convention put on by Romantic Times. The Workshops create a synergy I’ve not seen in other venues. Got 10 requests from agents and editors I pitched my three uncontracted novels to. Guess I need to get down to work.